From the incendiary writings of The Invisible Committee prompting arrests on charges of rail line sabotage in France, to the calculated analysis of Theorie Communiste and Aufheben, we may have skipped a few things in our previous two episodes about communism. The current known as communization emerged out of the struggles of May '68 in France, and to this day the question remains: can we enact communism ourselves, here and now? 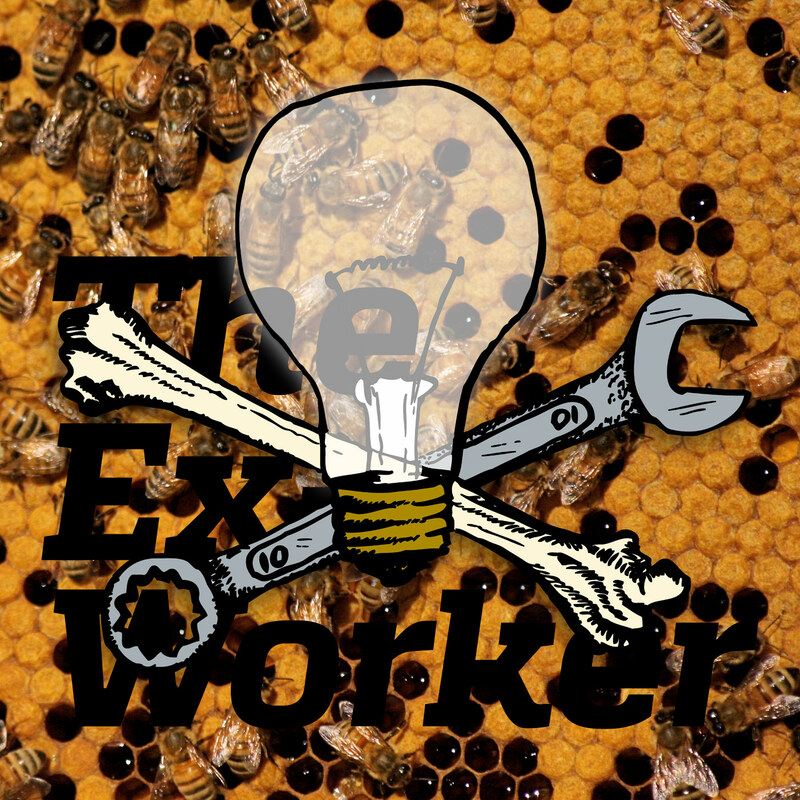 In this episode of the Ex-worker, we'll take another angle on communism, away from the backstabbing, newspaper-hocking, withering-state-types profiled in Episodes 20 and 21, instead focusing on those who share our dream of breaking with the misery of our conditions and dismantling this world (even if they still talk like Marxists.) In this episode we experiment with different ways of breaking through some of the heavy theoretical language and ideas, including a reportback from a rather unusual Endnotes reading group, and transmit a theme segment from an autonomous, anonymous podcasting cell. We'll travel to North and South Korea in our listener feedback section, hear an interview from Anarchist prisoner Michael Kimble about prison struggle in Alabama and the importance of supporting long-term prisoners, and round it out with news and prisoner birthdays. June 11th was the yearly day of solidarity with longterm anarchist prisoners Marius (formerly Marie) Mason and Eric McDavid. Actions and events took place all over the world, from fundraisers, an online art show, and spectacular incendiary attacks. We’ll have a more in-depth run down of actions in our next episode. Cody Sutherlin of the Tinley Park 5 was recently released from Prison in Illinois after 2 years of incarceration, and his brother Dylan is set to be released next month. Here’s a link to his release fund. Accounts from the extended riots in Barcelona after the eviction of Can Vies can be found here, here, here and here. Seven prisoners in Polk correctional institution in North Carolina have gone on hunger strike for a variety of indignities and grievances. More prisoners are reportedly joining the strike and a call- and write-in campaign in under way. Earth Liberation Front snitch Liam Mulholland was sentenced for his role in a 2003 arson at a Michigan housing development. In exchange for a shorter sentence, he provided what the feds call “substantial assistance in the investigation or prosecution of others”. For more information about informants and snitches in the earth and animal liberation movements, visit the Earth First Newswire’s Informant Tracker website. Check out storiesfromsouthcentralwv.com, a new site launched to amplify the voices of prisoners in South Central Regional Jail in Charleston, West Virginia who are suffering repercussions of the chemical spill and water poisoning in January, as well as generally miserable conditions of incarcerated life. In our listener feedback discussion, we mentioned the Antidote Zine, which re-published our Chopping Block review of “Nine-Tenths the Law” from Episode 14 along with its own review of the book. They’ve published a thoughtful piece on Ukraine you should check out, and also sent some references for further reading on fascism in Ukraine and the response of the Greek left. We also, annoyingly, had to revisit our discussion of North Korea and the limits of anti-imperialism; we made reference to the Fifth Estate article “The Opposite of Freedom: An Anarchist in North Korea” and the Kiev Autonomous Worker’s Union’s statement on the war in Ukraine. Communisation by Troploin and What is Communisation from the first issue of SIC journal are great introductions; They’re both available for free online. On the more fiery end of things, there’s the writings of Invisible Committee / Tiqqun. The Coming Insurrection made waves in the mainstream when it was reviewed by Fox News’ Glen Beck, who called it the “quite possibly the most evil thing I’ve ever read,” around the same time that the text were beginning to appear widely (in poor translation) in anarchist circles in the United States. Some people find their focus on creating communism now prefigurative, but we’ve found affinity with their words and sense of immediacy, though are still a bit skeptical of their lean toward programmatism. We’ve also enjoyed the writings of TPTG and Blaumachen, for their analysis of the struggles in Greece and elsewhere, Riff-Raff in Sweden, and Troploin, SIC, and Dialectical Delinquents in France. It also doesn’t hurt to poke around in the archives at Libcom, although we’re wary of their politics around academic collaborators. The theme material quotes from Gille Dauvé’s Eclipse and Re-emergence of the Communist Movement, another text well worth checking out. If you can work through some academic and Marxist language, the article Invisible Politics: An Introduction to Contemporary Communization is one of the best overviews we’ve found of some of the different tendencies within communization theory and explores some of the philosophical roots of the ideas. Endnotes 3 is available in hard copy from Little Black Cart, as are the first two issues. Many of the articles are also available online on their website. Big thanks for our friends at Indiana Queer Prisoner Solidarity for the interview with Michael Kimble; you can read more of Michael’s writings at his website, Anarchy Live! and more about the Free Alabama Movement here. A final note on spelling: Communisation and Communization are both correct; the first is British English and the second is American English. As we’re internationalists, we don’t believe in borders or national standards of spelling, but unfortunately our spell checkers do, so we’ve mostly used the America.